Paul Chilton is Professor of Linguistics at Lancaster University. He has published widely in the areas of cognitive linguistics and discourse studies. His previous books include Security Metaphors: Cold War Discourse from Containment to Common European Home and Analysing Political Discourse: Theory and Practice. His most recent articles explore a geometric approach to the deictic concepts of space, time and modality. Spatial perception and cognition is fundamental to human abilities to navigate through space, identify and locate objects, and track entities in motion. Moreover, research findings in the last couple of decades reveal that many of the mechanisms humans employ to achieve this are largely innate, providing abilities to store ‘cognitive maps’ for locating themselves and others, locations, directions and routes. In this humans are like many other species. However, unlike other species, humans can employ language in order to represent space. The human linguistic ability combined with the human ability for spatial representation results in rich, creative and sometimes surprising extensions of representations for three-dimensional physical space. 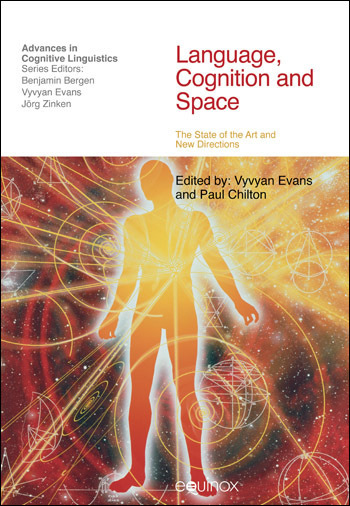 Language, Cognition and Space brings together nineteen articles from leading scholars who investigate the relationship between spatial cognition and spatial language. This volume represents the state of the art in terms of language and space research and points to new directions in terms of findings, theory, and practice. 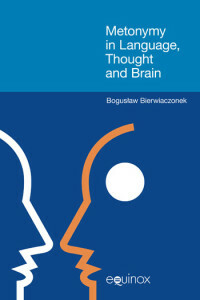 In this introductory chapter the author addresses the perceptual systems and processes that facilitate this: the sense-perceptory and brain mechanisms that process perceptual information giving rise to spatial experience. the author also examines the processes whereby perceptual experience is redescribed into rudimentary representations of space. That is, this chapter examines primitive concepts which form the bedrock of our ability to think, reason and talk about space and, indeed, more abstract realms. The main purpose of this chapter is to lay out evidence suggesting a new solution to this impasse. In particular, it is suggested here that a straightforward ‘yes’ or ‘no’ to the question of whether language changes spatial thought is too simplistic. Rather, the authors will present a different twist to the issue, suggested by some newer developments in thinking about the interaction between language and spatial cognition. Specifically, the authors review evidence that language – once acquired – can strongly modulate our non-linguistic spatial representations, but that much of this is done in the moment of carrying out a specific task, and does not result in permanent organizational change to spatial representation. This chapter surveys evidence showing that spatial language does indeed engage the neurocognitive systems. In this chapter, the author sketches the view through two windows onto the landscape of spatial cognition: one being that of a semantic typologist; the other, that of a psycholinguist. The evidence gathered by looking through these two windows will suggest that despite surface differences in how we talk about space, all humans are attuned to the same three abstract families of factors – geometric, functional, and qualitative physical – which together influence the ways in which we talk about relations in space. This chapter examines each of these families of factors in turn, along with limitations on proposed meanings based on a single type of factor. For the current chapter, two representations and their constituent processes are of interest: reference frames and spatial templates. For projective terms, a reference frame consists of a set of three axes that assign directions onto space. Specifically, the reference frame is imposed on the reference object, and its axes extend outward defining the space beyond. This chapter focuses on the subdomain of location and attempts to integrate new findings from linguistics and neuroscience. This chapter is divided in four sections: section 1 establishes a contrast between what the author calls external lexical formation, in which a word is associated to an extra-linguistic concept, and internal lexical formation, that proceeds by division or union of established lexical categories. In section 2, the author discusses a hierarchy in the formation of spatial terms in languages of the world. Three modes of lexicon development are investigated in section 3. In section 4, the author attempts to explain how the different levels of abstraction of spatial words can influence the acquisition of spatial words. This chapter discusses that it is becoming clear that geometric notions alone do not suffice to capture the meaning of even very basic prepositions like in and on, let alone an obviously force dynamic preposition like against. However, what is not yet clear is how the role of force-dynamics can be transparently and adequately modeled in representations of the meaning of prepositions. This paper makes some specific proposals about how to do this. This chapter is concerned with modelling the lexical representation of spatial relations, particularly as encoded by English prepositions, and examining how these spatial relations give rise to non-spatial meanings. In this chapter, the author offers a description of the linguistic means available in Basque for the lexicalisation of space as well as their usage, that is, which of these devices is used more oft en by Basque speakers when they talk about space. More concretely, this chapter deals with those devices used for the description of topological relations, what Levinson et al. (2003: 486) call basic locative constructions, i.e. answers to ‘where’ questions. The purpose of the present work is to begin to test the universality of the Principled Polysemy model by applying the model to the Russian spatial particle, za. 1 Za is a particularly good test of the model because it is highly polysemous. In addition, the analysis of za entails considering how the Principled Polysemy model applies to a language whose system of spatial referencing includes a complex system of case marking, which is lacking in English. In this area of the analysis, the authors have been greatly influenced by Janda’s (1993, 2000) work on Russian case. In this chapter, the authors aim to consider these issues by examining the uses and meanings of three Japanese spatial lexemes mae (front), ushiro (back), and saki (front/ahead). The analysis and empirical data presented here will support Levinson’s position and Tyler and Evans’s position stated above. In the remainder of this paper, the authors first review relevant previous studies and present our goal in Section 2. Then we examine unmarked uses of these lexemes in Section 3. In Section 4, our experiment on these lexemes is reported. Finally, Section 5 concludes this study. This chapter combines and relates new findings on spatial structuring in two areas of investigation, spoken language and signed language. Linguistic research to date has determined many of the factors that structure the spatial schemas found across spoken languages (e.g. Gruber 1965, Fillmore 1968, Leech 1969, Clark 1973, Bennett 1975, Herskovits 1982, Jackendoff 1983, Zubin and Svorou 1984, as well as the author himself, Talmy 1983, 2000a, 2000b). The main point of interest in this chapter is the spatialization of abstract information pertaining to grammatical concepts and theories. The author demonstrates that the prominent hand shapes and motion patterns that were found to recur across subject matters and speakers form a set of patterns which are reminiscent of simple geometric figures (e.g., squares, triangles, cubes, circles), as well as image and motor schemas proposed in the cognitive linguistics literature (e.g., object, path, balance, support, container, rotation; cf. Hampe 2005; Johnson 1987; Lakoff 1987; Mandler 1996, 2004; Talmy 1988). The goal of this chapter is twofold. The first is to provide an experientially-based classification of perceived motion situations. We believe that the one we off er in Section 3 is more systematic than the various distinctions made in the current literature on ‘motion events’ (e.g. Talmy 2000, Slobin 2003, Pourcel 2005, cf. Section 2). Notice also that by emphasizing experience, rather than the objective fact of motion, we adopt a phenomenological perspective situating motion in the lifeworld of the human subject (Husserl 1999 ), rather than in ‘objective reality’. This is consistent with the assumption, often emphasized by cognitive linguists nowadays (e.g. Lakoff 1987), but with roots in antiquity (cf. Itkonen 1991), that language refers to and classifies not reality in itself – but reality as conceived by human beings. This brings us naturally to the second goal of the chapter: to use the proposed taxonomy of motion situations in addressing the questions of how different languages express motion, and if linguistic differences imply differences in conceptualization. In this chapter, the author examines the domain of motion independently of language in order to design a conceptual typology of motion that will serve linguistic analyses and applications of these analyses. Importantly, the typology attempts to categorise types of motion in a way that is concordant with how human minds categorise motion types in conceptualisation – using cognitive data obtained from categorisation tasks. In other words, the conceptual typology is not based on language patterns, as are linguistic typologies, but on conceptual categories. This chapter explores a potential solution: perhaps the mind recruits old structures for new uses. Perhaps sensory and motor representations that result from physical interactions with the world (e.g., representations of physical space) are recycled to support abstract thought. This hypothesis is motivated, in part, by patterns observed in language: in order to talk about abstract things, speakers oft en recruit metaphors from more concrete or perceptually rich domains. This chapter discusses possibilities of making one aspect of such a linguistic anthropology of time more systematic. In particular, the author will discuss possible heuristic contributions that typologies of spatial frames of reference might make to typologies of temporal frames of reference. This chapter aims to explore the way in which attested neural operations may motivate linguistic structures, at two different levels of abstraction.